Alastair Reynolds was born in Wales in 1966. He has a Ph.D. in astronomy. From 1991 until 2007, he lived in The Netherlands, where he was employed by The European Space Agency as an astrophysicist. He is now a full-time writer. 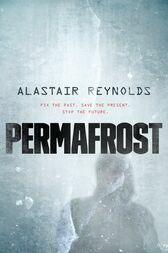 Alastair's books include the Revelation Space novels and Permafrost.